There are 2 cat videos tagged with dominoes. 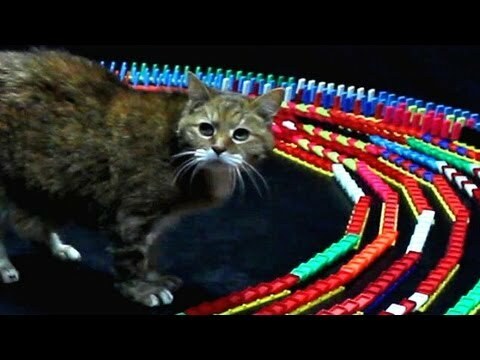 This cat toy may have taken a little while to set up, but the entertainment from watching this video is worth it. 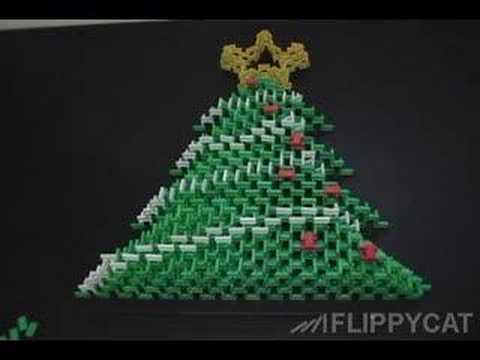 This creative owner makes domino patterns for his cat to watch falling. With this interesting domino design, the cat is set in the middle and follows the dominos as they fall around him in a circle.